Sean Holley is a BBC Rugby Expert working in TV & radio providing analysis, commentary & punditry. He also works on BT Sport Rugby programmes. Sean hosts the Sony Award Winning ‘Rugby Nation Radio Show‘ weekly across Nation Broadcasting stations. Furthermore, he writes a monthly column in the World’s biggest selling rugby publication – Rugby World, entitled ‘The Analyst‘. 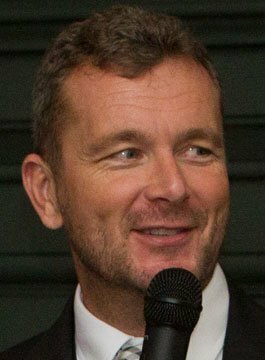 An experienced rugby after-dinner speaker, Sean also works as an MC, hosting awards ceremonies, sportsmans’ dinners & conferences. His particular skills include facilitating Q&A sessions, presenting & auctioneering. Sean is a very experienced rugby coach having coached at Elite Level for over 20 years, previously 9 years at Ospreys Rugby since their inception in 2003, finishing as Head Coach in 2012 winning 5 trophies. Sean Holley was part of the Wales coaching team in 2005 and for the 2009 North America Tour.